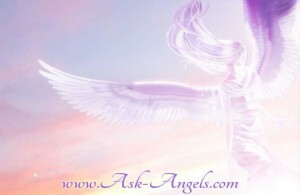 Have you thought about having an angel reading but weren't sure what to expect? 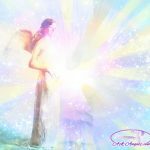 Check out this angel reading Sheelagh completed for Jeanne, there were no questions asked initially… So Sheelagh just connected and allowed the messages from the angels for Jeanne to flow through. I ask first of all that mother/father god be with us and only the highest and purest energy connects us. I that all archangels and angels and guides that wish to work with you come forward and be with you and within you now. When i connect to your beautiful energy I am shown a pink and yellow light radiating from you I am told that light is the empathy and loyatly you have for so many people that you have met along your path. You are indeed a light worker and you are very much embraced by a whole group of Angels. However the Archangel coming forward to assist you today is the beautiful Archangel Michael – leader of the Archangels and protector and encourager of our spiritual gifts and abilities. He is showing me a time where you have felt a little out of energy, he is showing me people around you and situations around you that have left you feeling torn and not sure which is the right direction to take, he asks you to reconnect to your power and to see that this is but a mirage and in truth the path forwards is a recognition that you need to consider your own needs first. I am told you are safe meaning that although there are circumstances that are confusing at this time in practical matters I am also shown a solution is only around the corner. A house move or change of job is imminent and this is for the better even though it feels a little transitional at this moment. I am shown a new path opening up for you and I am told of greater confidence being felt as you step forward onto this path. anger and frustration at this time, she needs soothing and is in need of unconditional compassion. Michael explains to you here you are an empath which means you often pick up on the energy of others and internalize this without realising this is what is happening this can leave you feeling burdened and overwhelmed with others situations and he is asking you to stand back and gain some clarity. There is also a man around you who is moving in circles and is worried about his ability to move forward, and it is showing me here you are feeling the age old urge or will do to assist this man. Again you are being reminded that your sensitivity although a gift, carries a responsibility with it to allow others to do what they must. You are affected by the rays of the moon and the cycles she moves through, and you are accompanied at this full moon by Haniel the angel of the elements, she is almost like Michael's younger sister and she says you have the capacity to develop clairvoyance through your third eye, and if you ask her she will cleanse the ‘gunk' that has stored itself there from previous incarnations when it was not safe for you to see. She also mentions a past life where you were responsible for the welfare of many and she says that is not the case this time and it is in fact time for you to learn a new skill and to use this to further your own life's purpose. There is a lady in spirit coming around you now, this is a relative and she had a very gentle loving persona she accompanies Haniel on her gentle breath of blue light and comes in to comfort and soothe those worries that have been flowing from you. She mentions your financial circumstances and says although there are no big lottery wins things will improve and smooth out and your needs will be met so please do not throw fear into the equation. I am shown a time of healing and a time of trusting your inner voice understanding that the angels come down through your crown and flow their messages of love and guidance into your heart centre so it comes through you and from you but it is not You. Be reasssured that everything is going to fall into place Haniel says opening her arms and hands wide in a gesture of love, she says that you worry far too much and this can tire you and allow you to feel that things are bigger than they need to be. Michael steps in and says that you are a very capable woman and it is time for you to look back down your time line and see how many times you have proved this to your self and others. You would make a natural teacher of just about any subject and there is a feeling of expansion around you as if the new skill that you will take on board is meant to be passed on to others, please bear this in mind they say in unison. Their message to you now is be aware of your energy at this time, ask Michael to come in and cleanse and soothe old toxins and cords out of your system and to replace them with beautiful divine frequency which will assist you in moving forward in so many ways. Now is the time to look forward rather than back they are showing me relationships deepening friendships being more light hearted and many accomplishments for you as a confident lady. They show me your spiritual ability widening and they also mention ascended master Mother Mary coming in for you who tells you she loves you like a daughter and she walks beside you to empower you and she says ‘please ask me to allow you to feel my presence' they make me feel as though you have had disturbed dreams and they say this is your guide who is opening up your aura to allow more of their messages to filter through, you have a female guide and her name is ‘Sasha' and she feels very elemental almost a child of the forests and woods and again she is saying it is all about intuition and realising you have had this gift for many life times and now is the time to use it. You came here to be a light you came here to use the capacity to love to help others but most of all they say with a huge blessing of bright white sprinkles – for you to feel love for yourself and to receive it from others, they say to you there is no greater life purpose than this and you are very good at achieving this role. They begin to draw away and they say call upon us any time you are in doubt and listen to your heart, tune into your third eye and you may begin to see us moving quickly out of the corner of your vision. Blessings and behold they say as they step back for now. Would you like to have an Angel Reading? Click Here! Or you can read another Sample Angel Reading Here! What Happens In An Angel Reading? This is amazing! You were speaking to me, I know it! The message was so exactly what is right for me that I feel all goosebumpy. ..unreal! will it ever happen for me again? Will I ever see my granddaughter? Reading this on my facebook news feed. Its as if they are talking to me there are so many, to many similarities. Its unbelievable! I so want to and need to believe this is for me…..